The Design Engine Racing Team, this past weekend at BlackHawk Farms Raceway, clinched five Series class titles. The championships were won in the Midwest region of Champion Cup Series (CCS) in all expert middleweight and heavyweight classes. The team overcame many obstacles and problems this season, including oil on the course, multiple crashes, a mid-season switch from Suzuki to Kawasaki and engine failure – just to name a few – yet the team never gave up. By clinching all these class titles for the CCS Midwest region the team is now poised to improve and set new records. 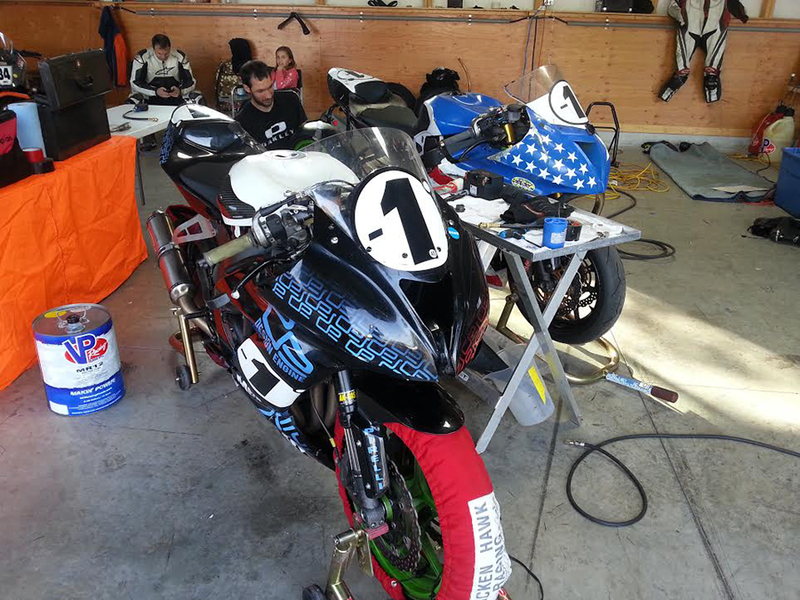 The team managed to obtain fastest lap time of the middleweight and heavyweight bikes each race weekend. We credit the team’s success to pre-race preparation, Nitrogen gas filled Pirelli tire pressure, a more organized and prepared rider, a rigorous fitness program, improved endurance, determination and a bit of risk management. This weekend was staged as the last race weekend for the Midwest. CCS officials call it “double points weekend,” and with the AASRA races added to the schedule, it’s a national event. 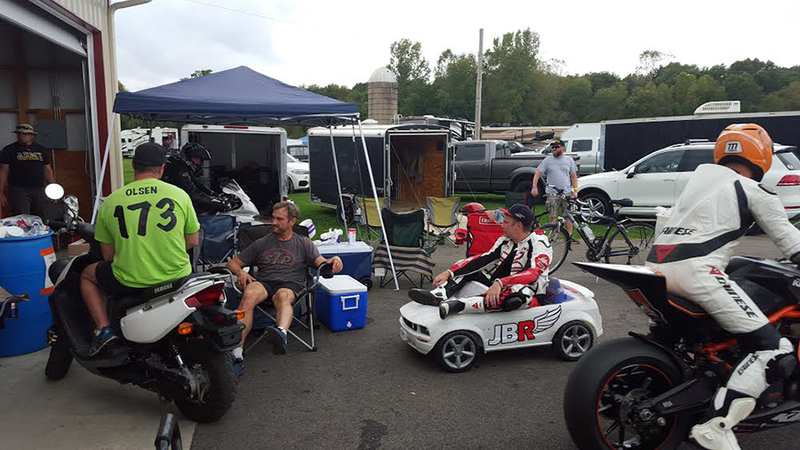 These national races are AMA-sanctioned travel events comparable to the WERA National races, complete with racers from all regions visiting Blackhawk Farms for the first time. The race team arrived early Saturday morning for two rounds of practice that started at 8AM. Since it’s an ASRA weekend, the format for racing is slightly different. Design Engine’s race team typically competes in six races per day, including the 25-min GTU, the three middleweight and two heavyweight races. However, Saturday had only the Supersport races scheduled and the 25-minute GTU race. ‘U’ stands for under 600cc, and this first race of the team’s schedule is the one race where Bart needed to win to secure the overall points. Other than this race, the weekend’s schedule was relatively easy since all the other points are locked in. A lot was resting on the outcome of GTU, a 25-minute race where Bart and team lead by one point in the points standings. If the team wanted the win for all six titles, they had to win this GTU race. The other five were in the bag. 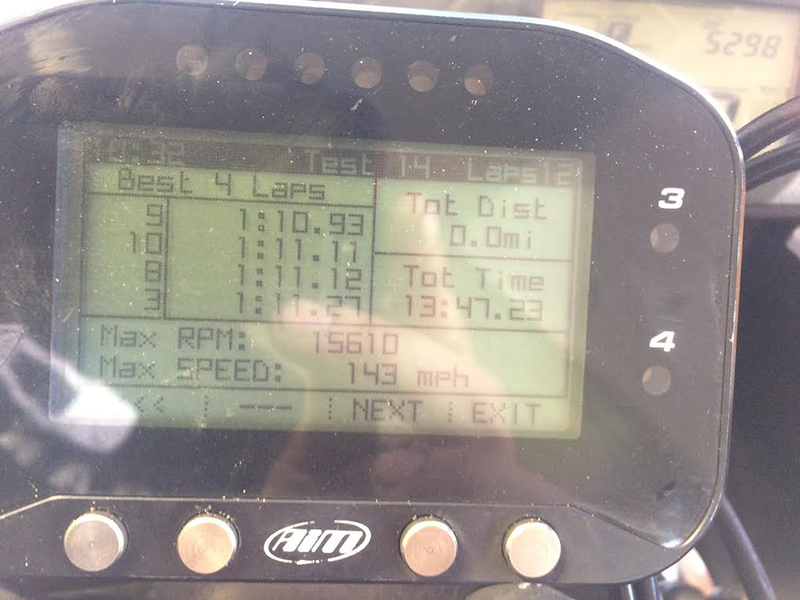 Bart ran a few ten’s in practice. That’s race track speak for one minute and ten seconds and change, or 1:10 lap times. Trying to get into Carl Soltisz’s head, Bart yells out in his Southern accent at the TSE pits, “I’ve never ran 10’s in practice before,” loud enough for everyone in the TSE pits to hear. His jocular psychology technique may have backfired because Carl ran off and won the GTU after a shift lever fell off the A-Bike machine forcing a DNF for the team. Design Engine still clinched second overall for that class all while Bart and Carl both knocked down consecutive 1:10 second lap times. In hindsight, Bart should have pulled off into Pit Row and had the lever fixed and finished the race to gain more points, since the team only got second place by one point. With the points locked in on all the other races, Design Engine really only had to enter and complete three laps to clinch the individual class title for each race. Bart secretly figured it best to not let too many folks get by and to settle for third place most every race just to be on the safe side. Bart looks for small improvements each year. More speed into T3, consistent lap times, deeper into T1, spin tires all the way thru T3 …. 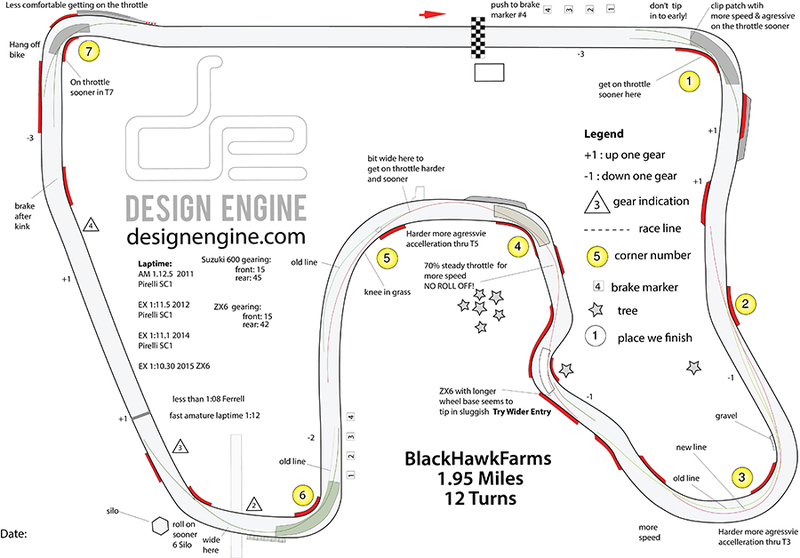 Blackhawk Farms Raceway is a technical track that is exhausting for many who run that pace. “A motocross workout program where the focus is on core and endurance with light weights and repetition is what we are doing”, explains Sondra Ellingson. Sondra Ellingson, Bart’s personal trainer, has been preparing a blog posting for the workouts that are designed to keep Bart in shape, so when racing he uses his core strength not elbows to hold him up around the turns. 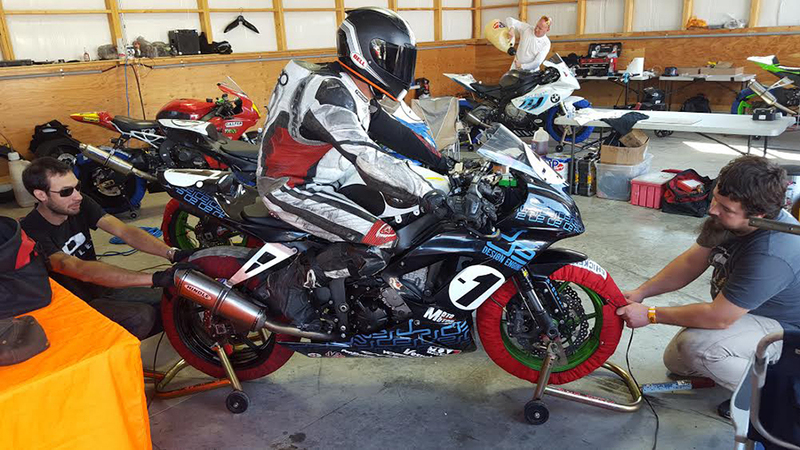 Being strong and light is the key for racing motorcycles. Bart supplements the gym workouts with yoga, running and bicycling. Sondra’s mom came to the track for the first time. She has seen the Facebook posts and had to experience the racing first hand. Saturday Night was fun as everyone, including race direction and all the corner workers, came to the party. Design Engine contributed plenty of beers and chicken. 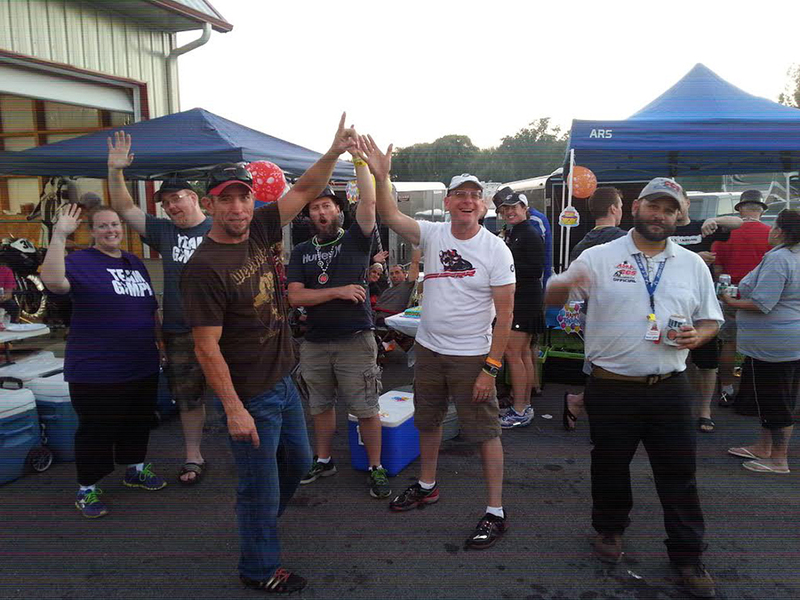 Injured racers, who all have September birthdays, all showed up to put on the party. Jack and his wife plus JP and his wife. Jim’s birthday is in September, too. Brian likes to tease Bart that maybe he is too old to compete with these young experts. Bart’s response was fast and too the chase, “I’ve never ran consistent 10’s before… as long as I can see steady progress I’ll go faster and faster.” The team did manage to clinch five championship-class titles for the Midwest region. That is no easy task. Last year they won the overall points and the overall points obtaining the #1 plate. This year they won something more special: five series championships! The team is now looking forward for Daytona in mid-October. “That track requires so much horsepower,” Bart explains, “this will be the first time we go there with some engine muscle… we don’t call it Design Engine for nothing,” Bart laughs out loud, “I want to beat Greg Melka this year at Daytona.” We all have our mile markers, and Bart has his set for middle October. For Daytona, the team will add Apex bars to the A-Bike and replace the exhaust silencer to the B-Bike. No time for engine rebuilds though. Design Engine racing is eager to learn that Daytona banking with the faster engine and Nitrogen in the tires. 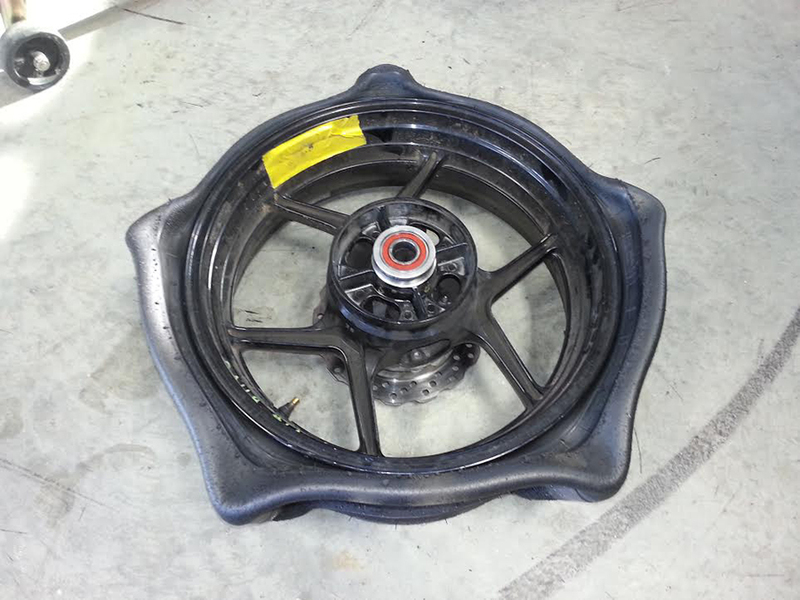 They think we will run a 28psi Nitrogen pressure because the banking requires a stiffer carcass even with the specially made Pirelli tire for Daytona. For next year we will probably be on a Kawasaki unless Bart gets an offer to ride something else. We are racing BFR this weekend. Although we have not met , good read Bart.